Priscilla Penny is IVP for GB Africa. 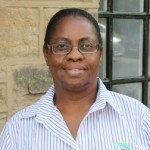 Based in Zimbabwe She is married to Claudio and have children (and baby grandchildren) at home and overseas. Please pray for Priscilla as she leads the Africa GB Fellowship again this year. ‘You did not choose me, but I chose you and appointed you to go and bear fruit – fruit that will last. Then the father will give you whatever you ask in my name’. God’s choosing of us is not based on anything we have done, because we were chosen by Him even before the world was made. And we were chosen not just to be saved, but to be completely clean before him, because of the blood of Jesus. This is not a vain hope, this is God’s plan for each one of us, accomplished by the same power that raised Jesus from the dead. In Ephesians 2:10. Paul writes “For we are God”s workmanship, created in Christ Jesus to do good works, which God prepared in advance for us to do”. We are created to do good works. In GB we are encouraging one another to” Live the Mission” to join in with what God is doing in His world, amongst girls who need to encounter Him. In GB It’s what we are called to do and how incredible it is to know that we have all the resources of God available to us as we follow him expectantly. God is committed to the task. God has equipped us with special gifts and talents. We need to ask God to help us identify these gifts and to be disciplined and open enough to develop them. What good works has God lined up for each one of us this year …. Or in the next 4 years ? How will we recognise them when they come along? Lord God, help us to hear your voice today. Open our hearts to receive your Spirit so that we can recognise the opportunities you give us to join in with you calling on our lives. Fill us with your power Lord, to be people who do your good works amongst girls and in our community.